So my hair has been feeling drier than the deserts of far away lands. Not a good look, I know. 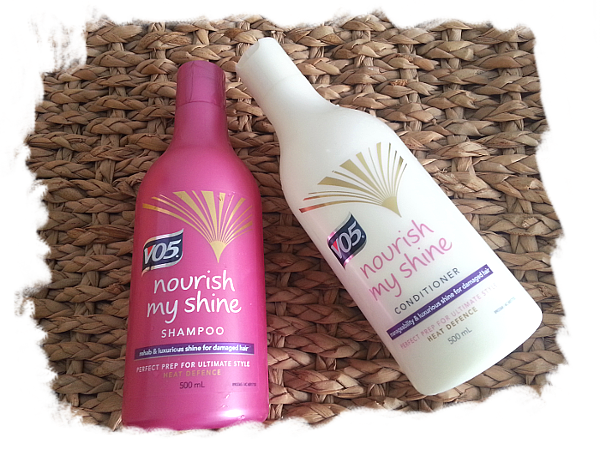 I had finished up my bottle of the Aussie Three Minute Miracle Shine which really did provide more shine to my hair and made it feel a lot softer. Being a beauty blogger and all I decided it was time to try something new. 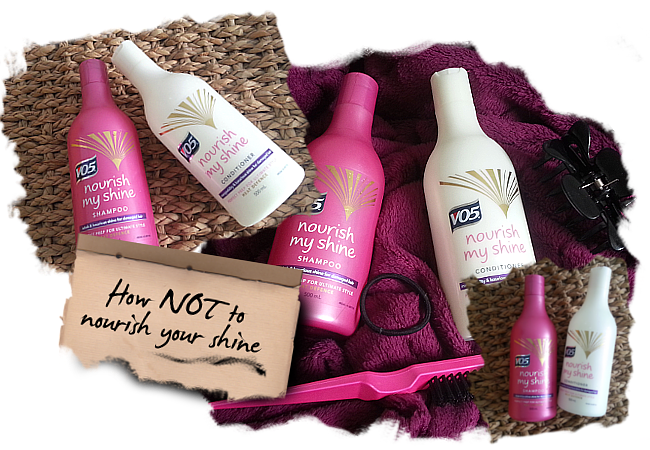 The V05 Nourish My Shine shampoo and conditioner made their way into my basket, mainly because they were on offer. First of all, I'm kinda drawn to the packaging, it's just something a little different. It almost says 'I'm more than just a normal shampoo and conditioner', just me? Probably. The shampoo lathers nicely into the hair with a relatively pleasant fragrance. Don't get me wrong it isn't displeasing at all but it doesn't have a special scent which is always a nice little bonus with haircare. It did cleanse my hair pretty well though. The conditioner is to be left in for a couple of minutes to work its magic and you can feel a difference in the hair afterwards, silky and nourished. Although, after drying my hair as normalI didn't find that it had much more shine than usual. It did feel soft and clean as it should but there was just no 'oomph', just ordinary clean hair that was slightly softer to the touch. The phrase 'it'll do' describes these products perfectly. Fine for when you've forgotten your shampoo and conditioner when you're away for a weekend and a mad dash to Boots is on the cards and they've got an offer on for V05, but otherwise I would give them a miss. A good purchase if you're looking for a bog standard shampoo and conditioner that cleanses and softens, for £3.99 a pop we can't complain too much. There's usually some sort of offer on anyway. 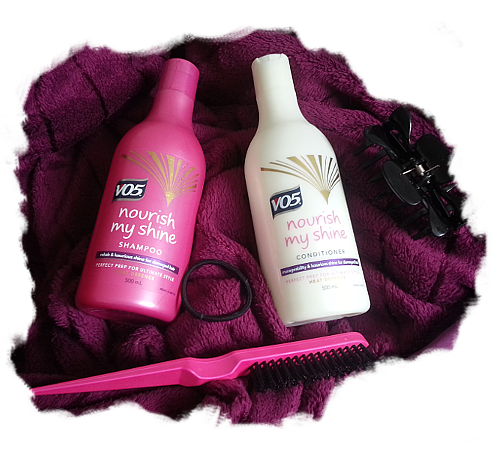 I hope I've helped some of you on your quest for shiny hair! great review hun , i found that they were where a little drying too !